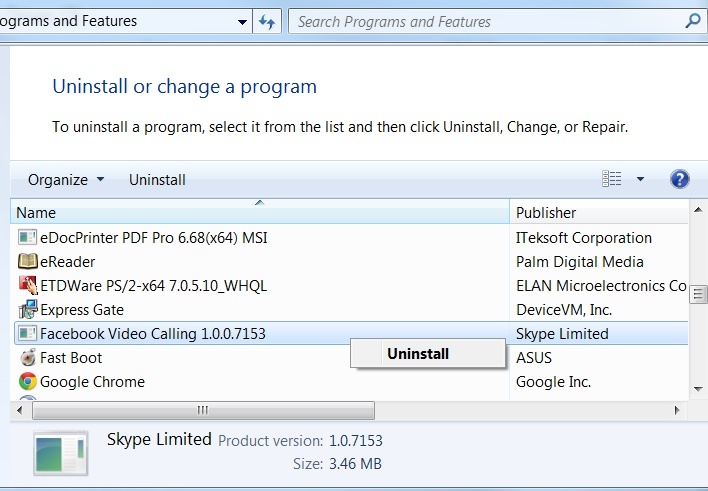 Summary: Learn how to uninstall and remove Skype Facebook Video Calling in less than two minutes using these easy steps (with pictures). Skype and Facebook have partnered to add Video Calling using the existing Facebook chat. If you don't want to use this Video Calling feature here are the steps to remove it. Facebook's Video Calling is a small program for Facebook that allows you to video chat with your Facebook friends Perhaps you've tried Facebook Video Calling and either you no longer want it installed or your computer wasn't compatible with it. 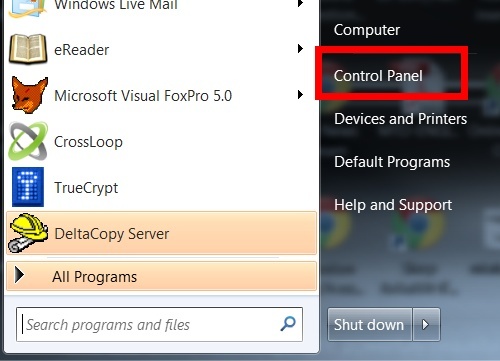 Perhaps your computer isn't compatible with Facebook Video Calling or you simply don't want it installed on your computer. 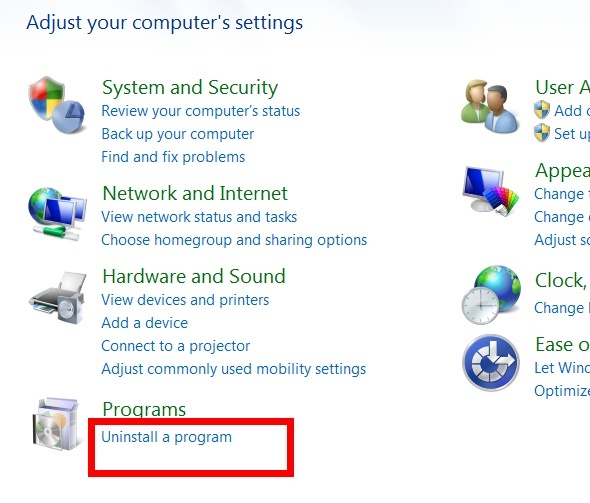 Here are the easy steps to remove it. Scroll through the list of programs until you find “Facebook Video Calling.” RIGHT-Click on the “Facebook Video Calling” link, then select “Uninstall” from the dialog that appears. Conffirm that you want to remove the Facebook Video Calling program.